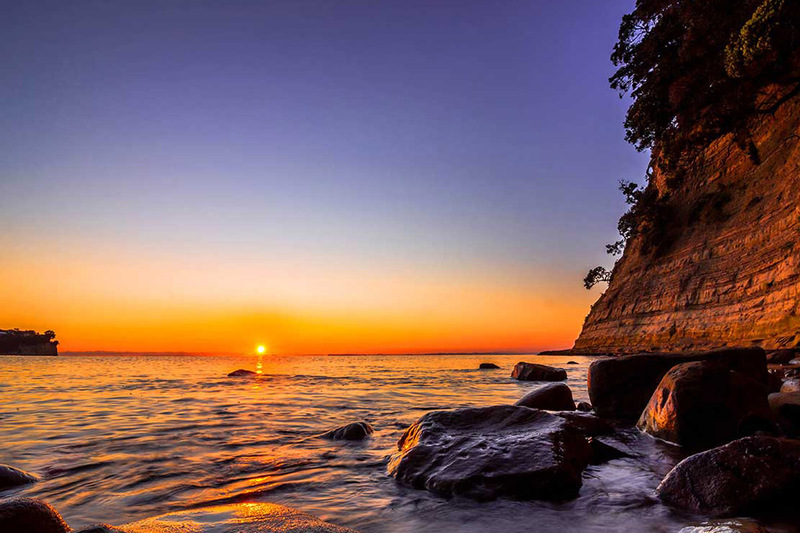 Five Hibiscus Coast Tips To Help You Take Sunrise Photos. A few weeks ago a local amateur photographer saw one of our photos similar to his and made some comments about us. This made us not think about his comments as we know they are untrue but it made us wonder is it that artistic taking photos of something that you didn’t create that is already there. E.g a beach? 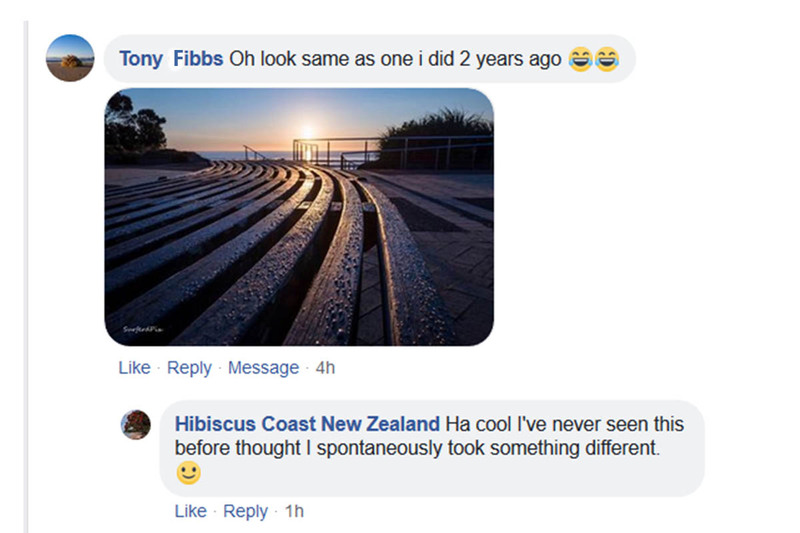 Coming from other creative photography we used to think landscape photography wasn’t that creative but when we first photographed on Orewa beach we saw a lot of different angles that we could take photos of that we hadn’t seen posted before. Roscoe isn’t a landscape photographer who plans photos days ahead he usually gets there a couple minutes before the sun comes up so has to quickly figure it out. 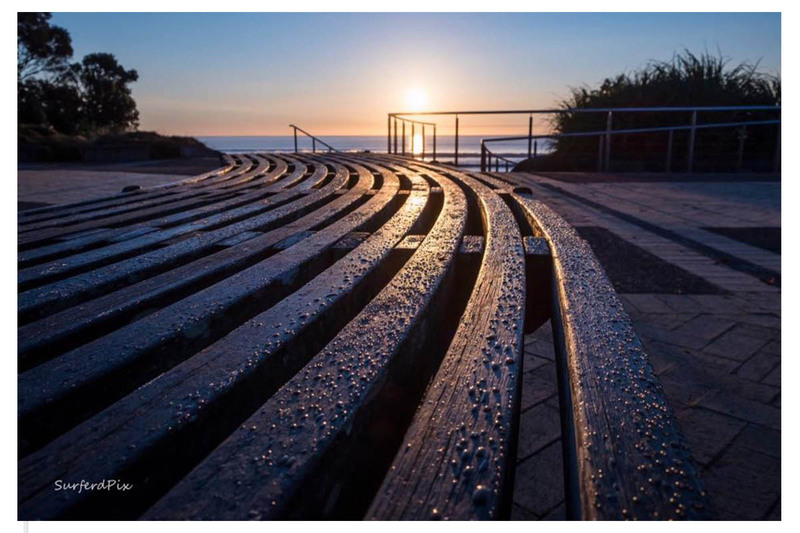 So here are Five Tips he uses to help you take sun rise photos! 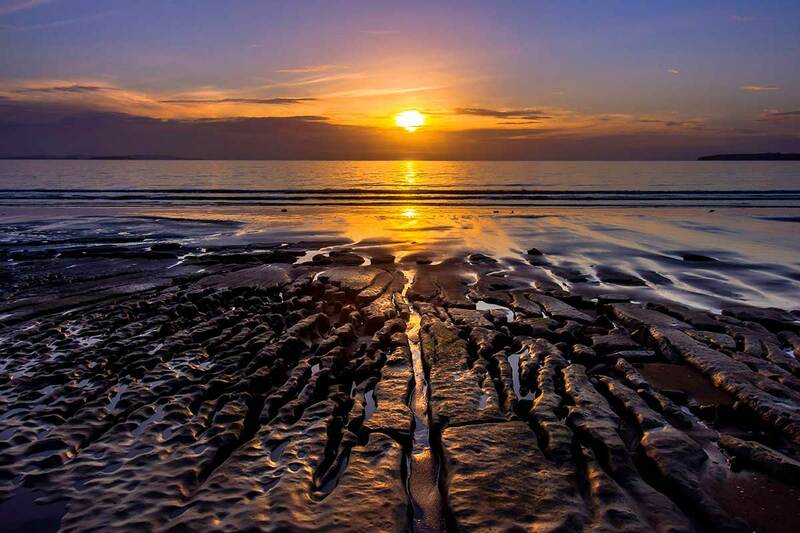 Look for a line or lines pointing to the sun. 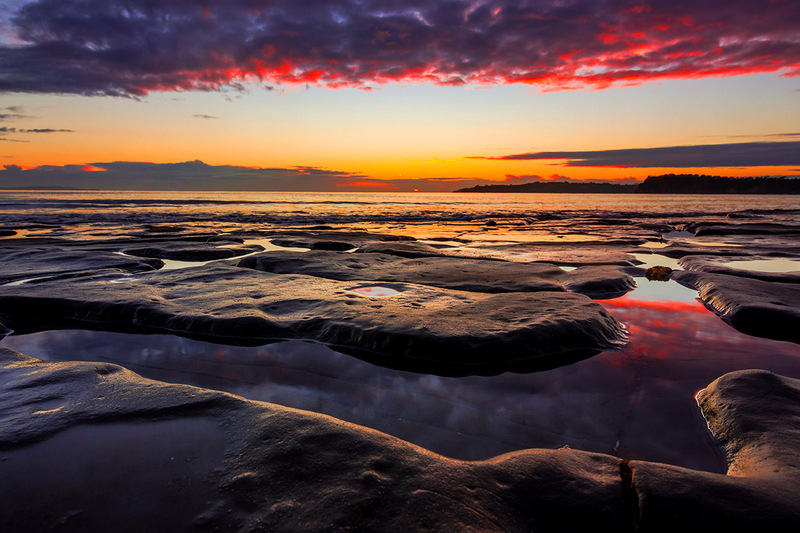 Sometimes not that easy on a flat beach so something you have to look out for. 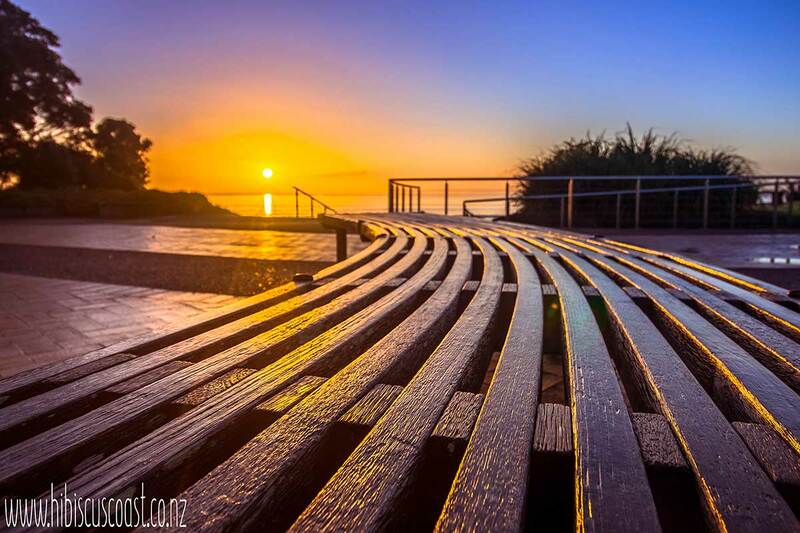 The photo of an Orewa seat with leading lines to the sun. Most photographers walking past this seat at the right time with the sun in line like us would probably also try to take a photo because of the leading lines. So we are sure we won’t be the last person to take this photo. We also liked this photo because of the hand rail was also pointing to the sun. 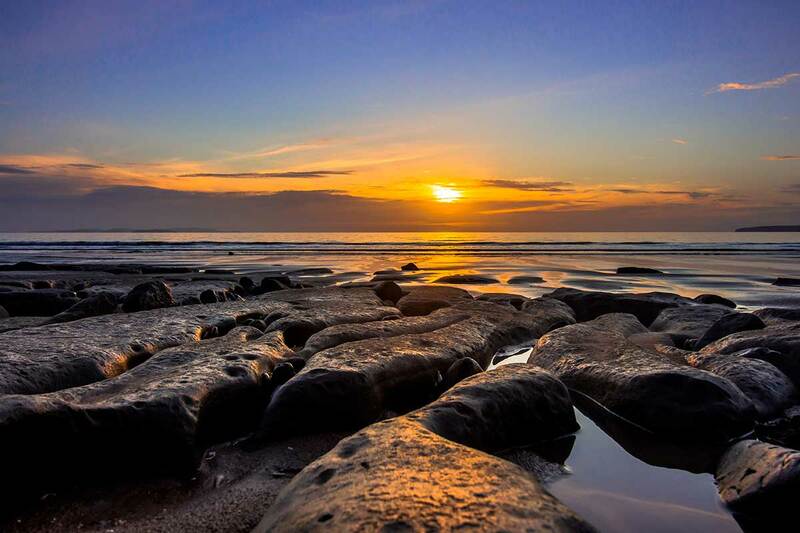 Rock pools, sticks, trees, can also help make leading lines. 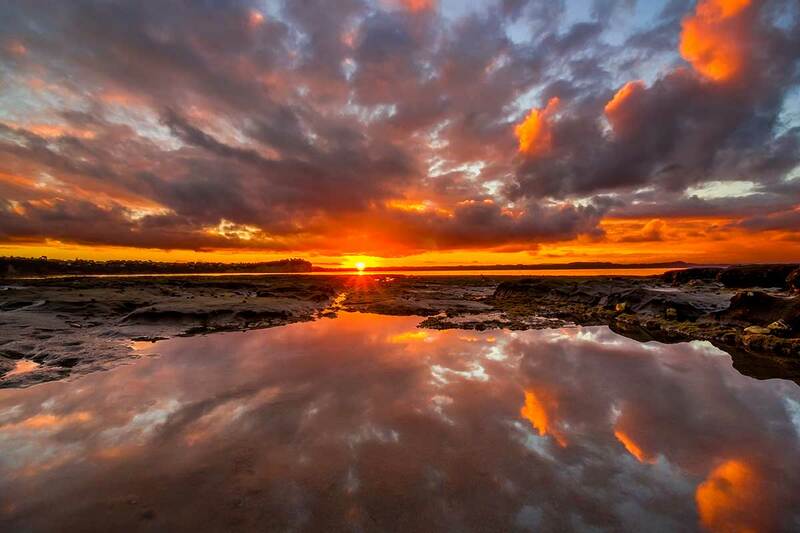 Sometimes you can take a basic flat shot of the beach or to get something else look for reflections. 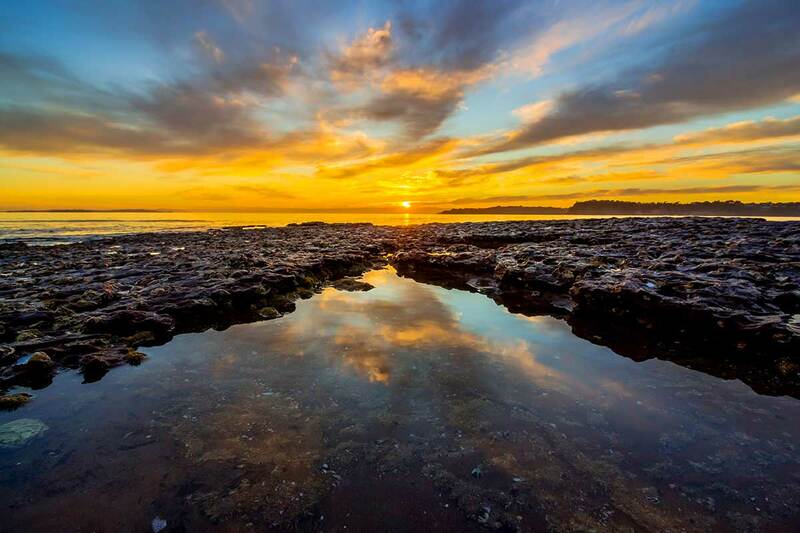 This first photo there was just a small pool of water in the middle of Orewa Beach. Camera height can make a huge difference to your photos. 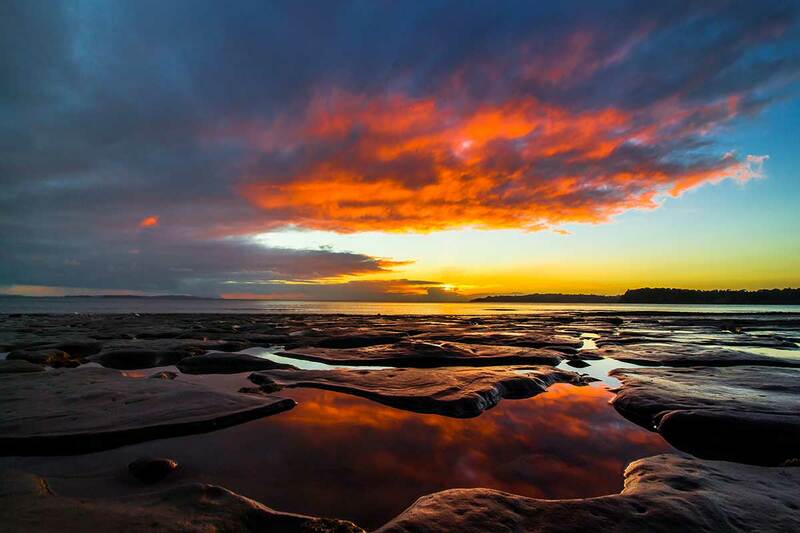 These are three photos taken at Red Beach on the same day in the same place. 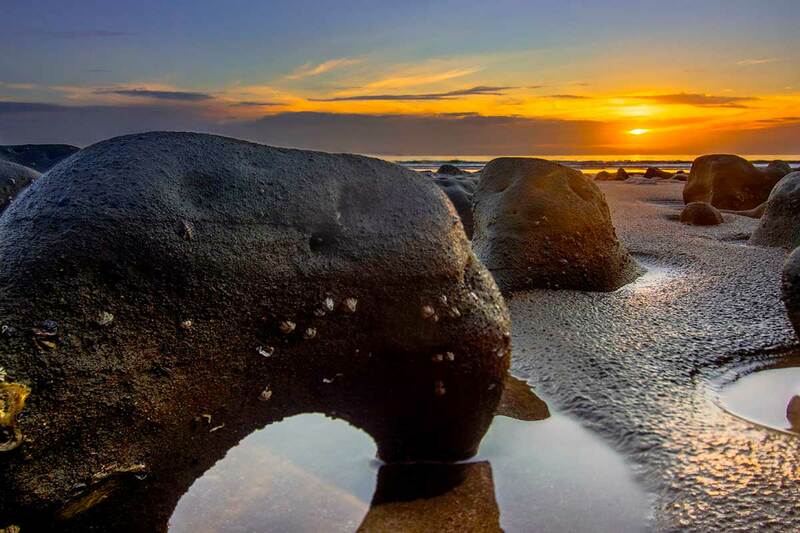 *Do be careful of the rocks at Red Beach. They are slippery even we have fallen. 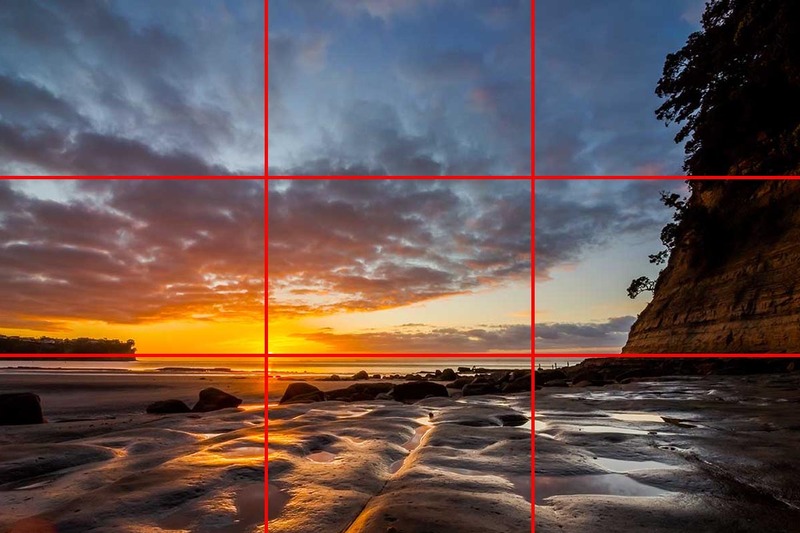 The basic principle behind the rule of thirds is to imagine breaking an image down into thirds both horizontally and vertically so you have nine parts. Cameras these days can have grids on their screen so it’s easy for you to line up. Then you just place important things in the photo on the intersecting lines. 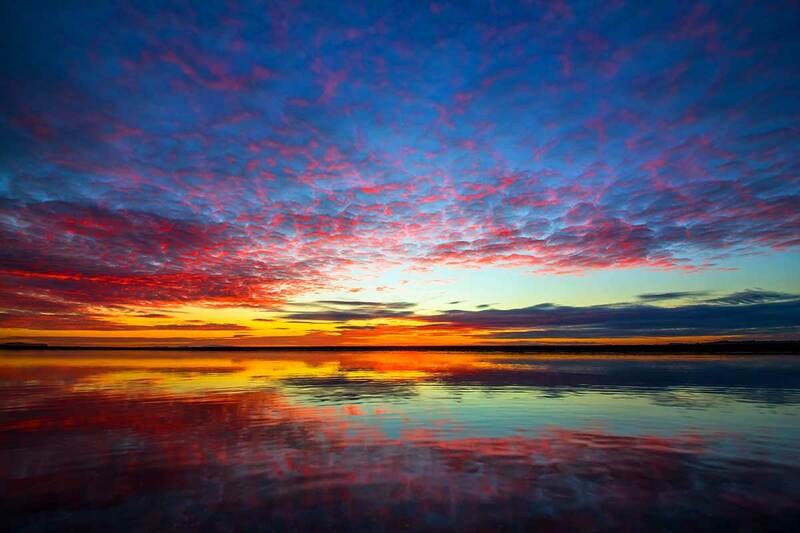 In these examples when we don’t want the sun centered in the middle we use the sun and the horizon line on the grid so we can then show more of something to the side like at Arkles Bay. This is probably our main tip that always keeps us interested in photography. 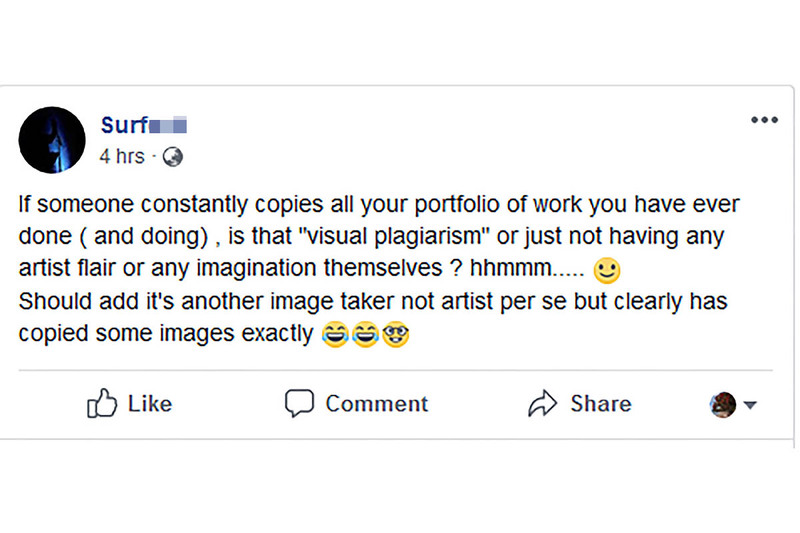 Similar to the old saying you are only as good as your last photo. If you don’t think you are a good photographer you will always try to get better. There is always something new to shoot or learn in photography. Every time we take photos we learn something new. 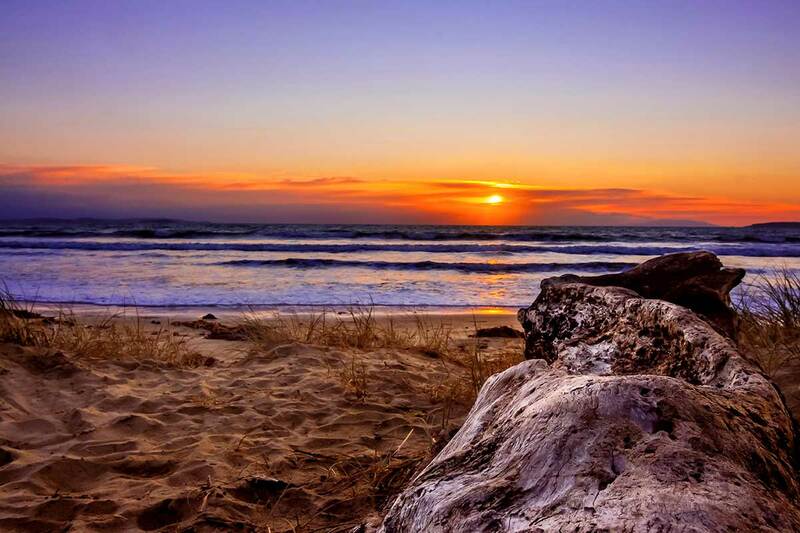 The weather and the tide are never the same and our beaches are for everyone to photograph. 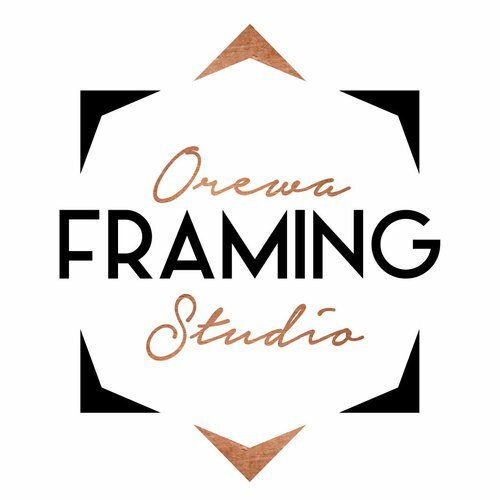 Take a look at our prints available to order online printed locally at Orewa Framing Studio by clicking the image here. If you haven’t already follow us on Facebook to see how we use these tips.